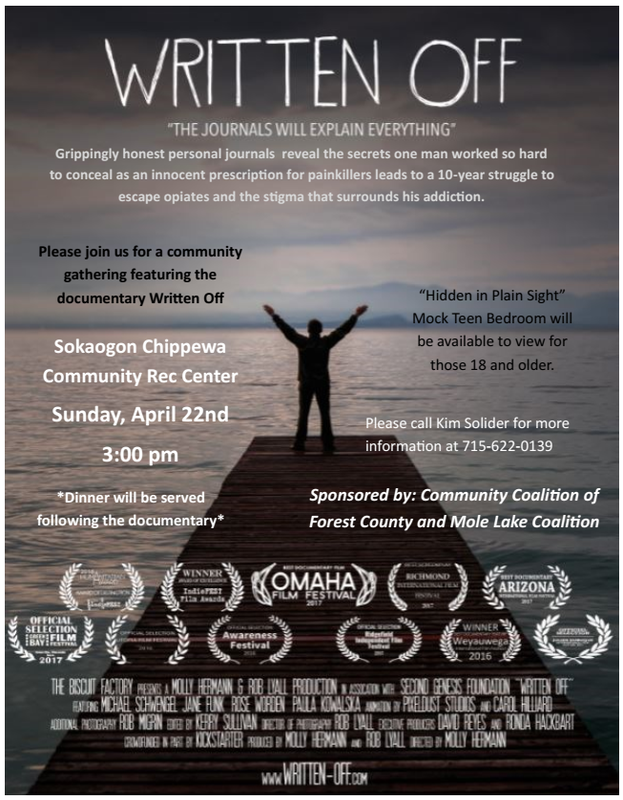 The Community Coalition of Forest County is partnering with the Human Service Center of Forest, Oneida and Vilas Counties to offer Forest County residents numerous opportunities to view a free screening of the documentary “Written Off. ” The next Forest County screening date is Wednesday, May 23rd at the Laona High School. “Written Off” chronicles the life of Matthew Edwards, a Crandon High School graduate, whose addiction to opioids began at age 15, after being prescribed pain medicine for a minor surgery. His grippingly honest writing reveals the secrets he tried so hard to conceal throughout a decade long struggle to escape addiction. 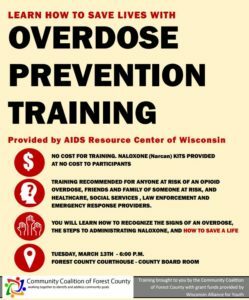 Matthew’s mother, Jane Funk, currently a teacher at Crandon High School, published the book “What I Couldn’t Tell you : one Man’s Struggle with Opioid Addiction” in June of 2017 and worked with filmmakers Molly Hermann and Rob Lyall on the “Written Off” documentary. The documentary film will be shown beginning at 5:30 p.m. on Wednesday, May 23rd at the Laona High School. The screening is recommended for ages 14 and up. Admission is free and no registration is required. 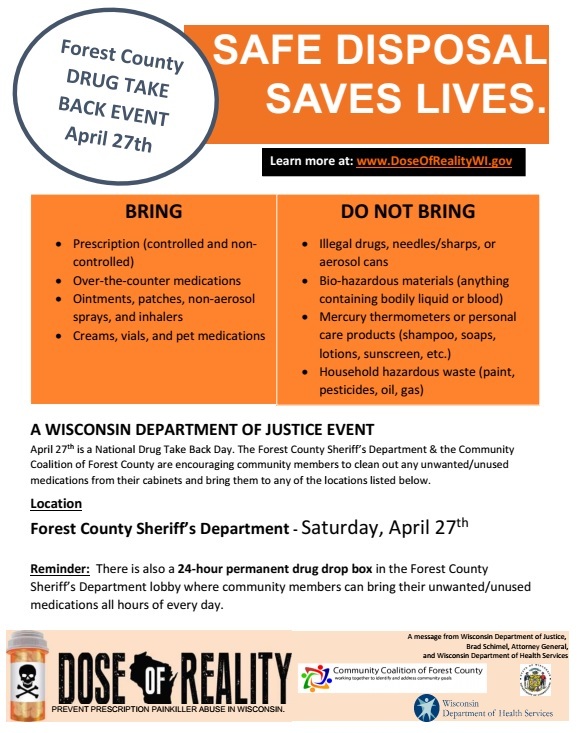 In addition to the film, parents, grandparents and caregivers are encouraged to tour Forest County Health Department’s “Hidden in Plain Sight” mock teen bedroom which will be setup at the school. The interactive room is a simultaneously amusing and horrifying scavenger hunt which helps adults spot the signs of substance abuse or addiction which may be hiding in a teen bedroom. In 2016 more Americans died from overdoses than in the entire Vietnam War conflict. And yet those new casualties are rarely considered victims of disease. With the support of Rep. Ann Kuster, (D-NH), Co-Chair of the Bipartisan Heroin Task Force, the documentary film “Written Off” is challenging conventional thinking about addiction. The film chronicles the life of Matthew Edwards, a Crandon High School graduate, whose addiction to opioids began at age 15, after being prescribed pain medicine for a minor surgery. His grippingly honest writing reveals the secrets he tried so hard to conceal throughout a decade long struggle to escape addiction. Matthew’s mother, Jane Funk, currently a teacher at Crandon High School, published the book “What I Couldn’t Tell you : one Man’s Struggle with Opioid Addiction” in June of 2017 and worked with filmmakers Molly Hermann and Rob Lyall on the “Written Off” documentary. 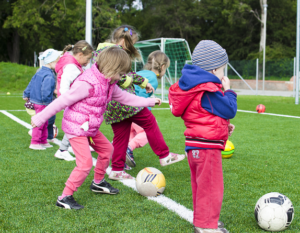 Parents and/or grandparents of youth in grades 4K – 3rd grade are invited to register their children in Forest County’s 2nd annual youth soccer program. The youth soccer season will be held on Saturday mornings beginning on April 28th and running through May 19th. This is a beginner soccer program that encourages youth to get outside and be active while learning the basics of soccer. There is no cost to register. 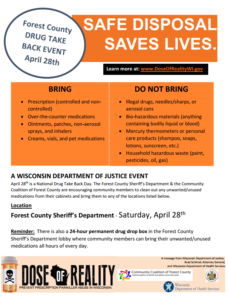 Registration forms, as well as the event schedule, are available to download here or are available for pickup at any of the three public libraries in the county. 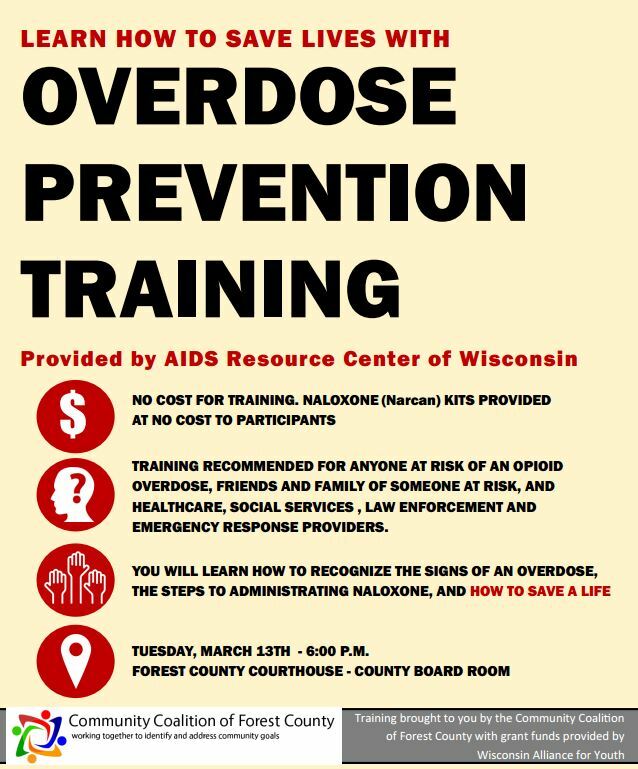 Please contact Sarah Thomaschefsky at 715-401-1988 or sarah.thomaschefsky@fcpotawatomi-nsn.gov with any questions.